Mehendi- The ancient body art of India has reinvented itself as a modern fashion accessory all over the world. Indian women have used mehendi in celebrations of betrothals, weddings, festivals and other occasions since time immemorial. Flaunt these intricate designs that enhance your palms and feet, giving a sense of true belonging. According to Indian Scriptures-'Atithi Devo Bhava'- guests are treated like gods, revered and given the choicest items of the household. 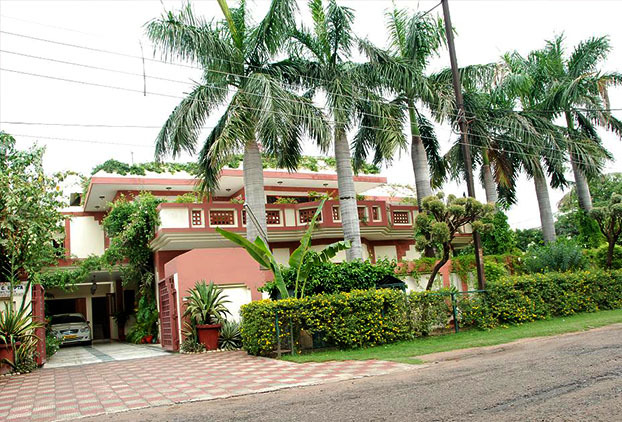 Come experience an intimate visit to an Indian home, relish the home made delicacies and feel like a family member amidst generations of togetherness. 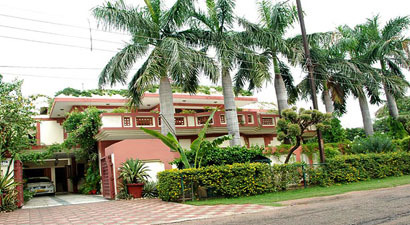 Come experience the ethos of an Indian school and enjoy the unique opportunity to interact with Indian school children. 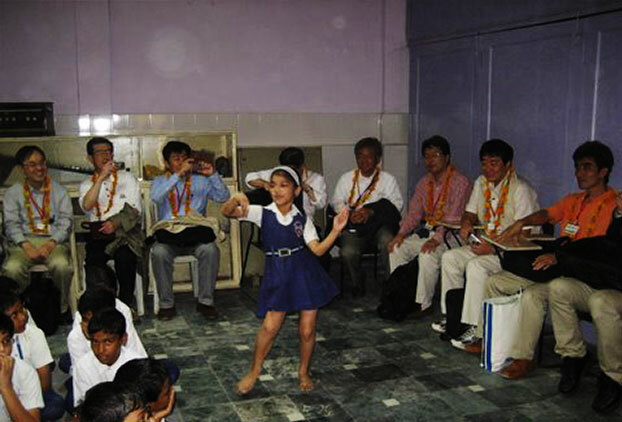 Partake in teaching a valuable lesson about global cultures & norms in an interactive classroom; wherein, the children too can help you learn things that no tourist guide book covers.
" A tear drop on the face of eternity " is how Nobel Laureate & renowned Indian thinker, Rabindranath Tagore described the Taj Mahal. 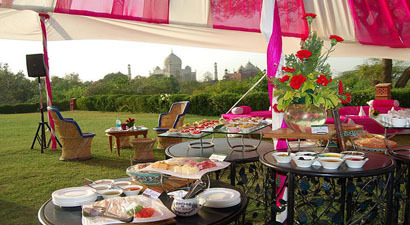 The mystic romanticism of the Taj and her timeless charm can be best experienced by spending an idyllic evening at Taj Khema, a series of verdant gardens perched on a hillock overlooking the Taj. Discover the by lanes and neighborhood on a century old way of getting around - the cycle rickshaw. 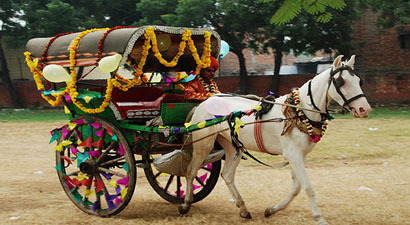 A local transport which is adorned with flowers and confetti to add some celebration, however short the ride may be. If you feel adventurous, feel free to ride one yourself. 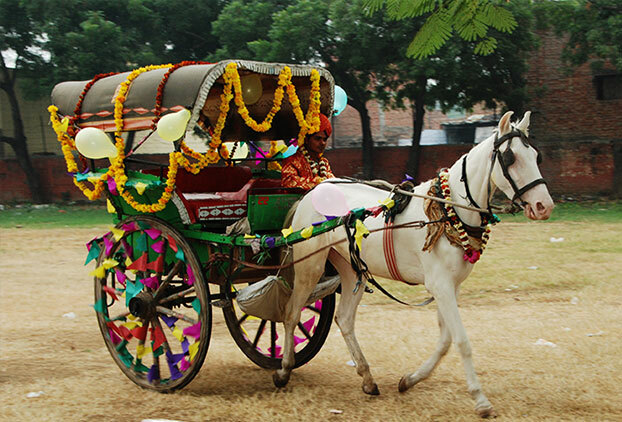 Take riding an autorickshaw up a notch by hitching yourself onto a tonga. Loud with colour, blazing its way across the cityscape, you'd be tempted to get one of your own at the end of a blissfully chaotic ride. Enjoy ample leg space as you sit, stretch, stand or even lie down in the back of a Jugaad - the Indian Mercedes! 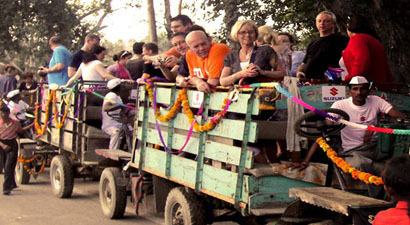 Experience the joy of being driven around in the most popular means of mass transport of the locals - the open truck! Relive the cherished memories of marriage and say 'I do' all over again in an authentic wedding ceremony designed exclusively for you and your loved one. Unravel the traditional Indian rituals and rekindle the timeless bond through this spiritual unison. "Dancing with feet is one thing but dancing with the heart is quite another". Let your heart dance with our traditional Indian folk dancers as they present the Kathak and the Bhangra dance forms and transport you to a world of classical Indian rhythms and intricate dance movements. 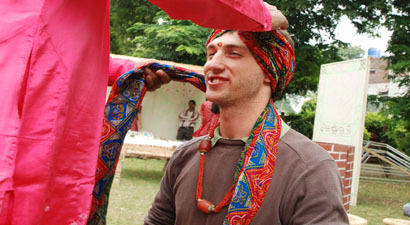 Donning a pagri has been an ancient Indian practice for men and the culture is vibrant as ever all over India. 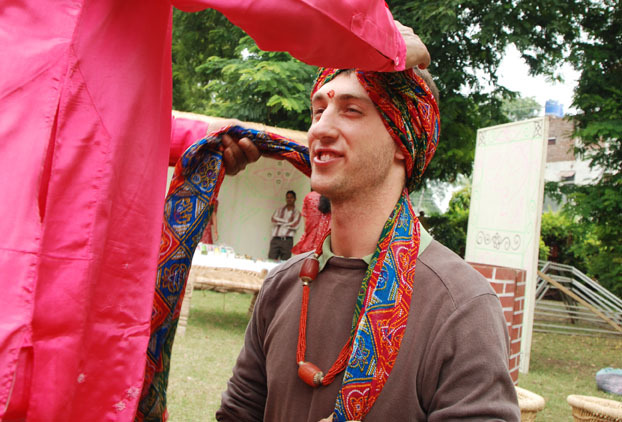 Discover the significance of the turban as you immerse in the symbolic dignity and male honour that surrounds it. Learn various ways to wrap a pagri while trying out vibrant colors, patterns and textures. 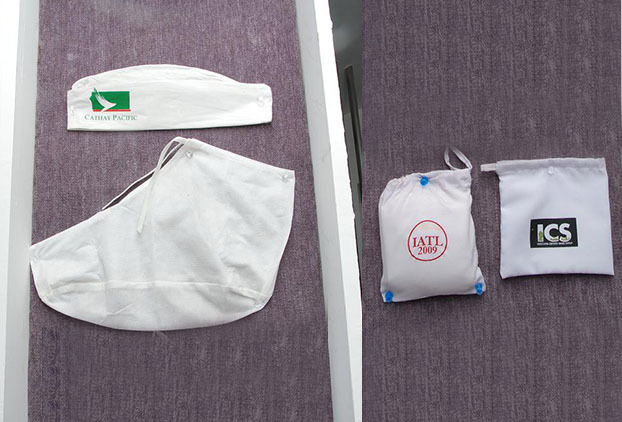 The norm of taking off shoes before stepping into a religious institution or some historical monuments in India (like the Taj) can be quite an alien concept for travelers. 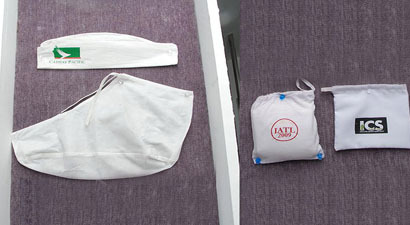 For those who prefer not to walk bare-feet on the ground, they can choose to slip into comfortable shoe covers which can also be customised to bear the company/group logo. 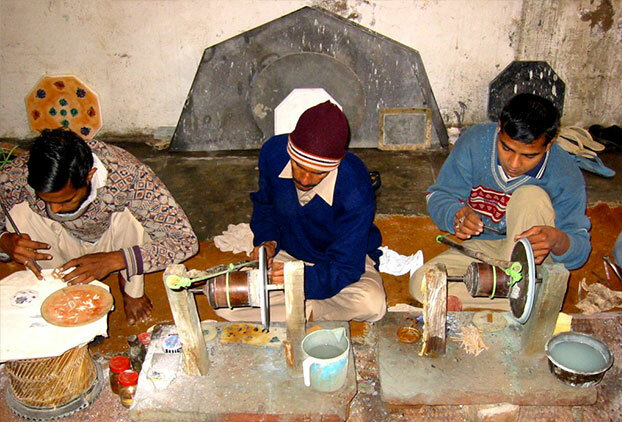 Over centuries, Indian arts & craftsmanship have had a sophisticated elegance, mixed with stunning aesthetic details. Culturally imbibed and ethnically carved out mementoes of India are known to be a Collector's delight the world over. 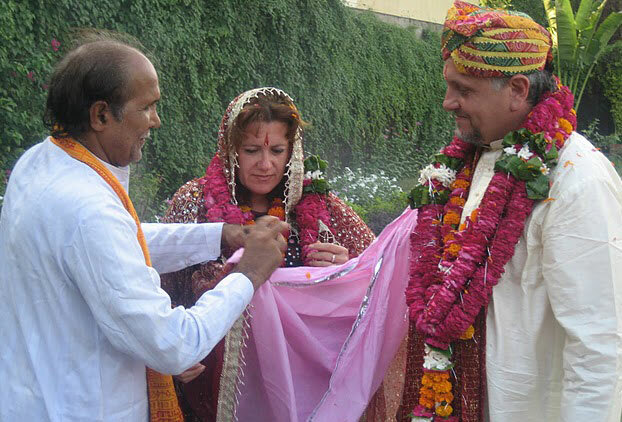 Guests can pick up various items such as wooden carvings, jewellery, miniatures, statuettes, etc which could serve as gifts for people during special occasions back home. 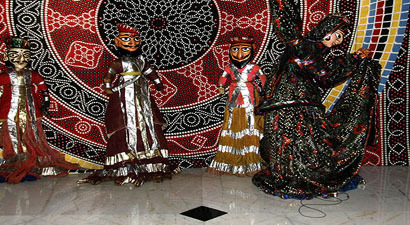 Or they can just adorn their house and be reminded of their timeless, Indian sojourn. It is said that the best way to experience a culture is to appreciate its cuisine. 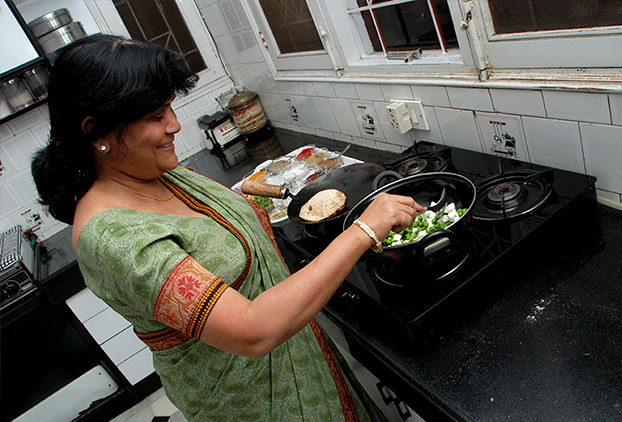 Enter the confines of a traditional Indian Kitchen and savor the process of cooking signature gourmet dishes from Indian housewives through a step by step cooking process. Learn how the mix of traditional spices, condiments and secret family recipes come together to create simmering, mouthwatering dishes. Experience the art & technique of wearing a traditional Indian saree as you drape yourself in rich silks, muslins and cottons. Wrap yourself in nine feet of this indigenous apparel and keep wondering how Indian women wear the saree everyday and still manage to go about their daily chores ! 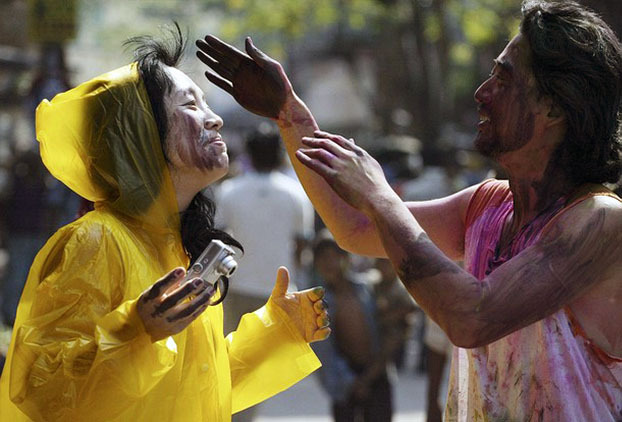 If your itinerary coincides with a major Indian festival such as Holi, Diwali, etc. 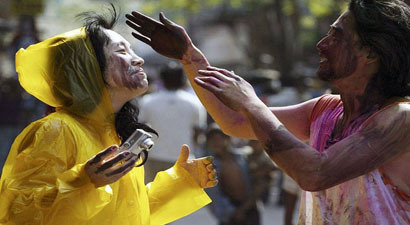 you would have a unique opportunity to experience a culture nuances fiesta. With cultural, mythological and ritualistic significance, one cannot help but flow with the holiday spirit. 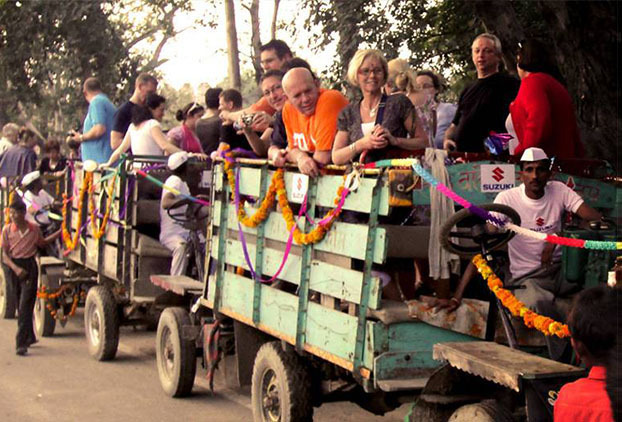 Join the revelry as well while discovering eclectic, cultural that define Incredible India. Cricket, India's most popular sport is a second religion to many an Indian. 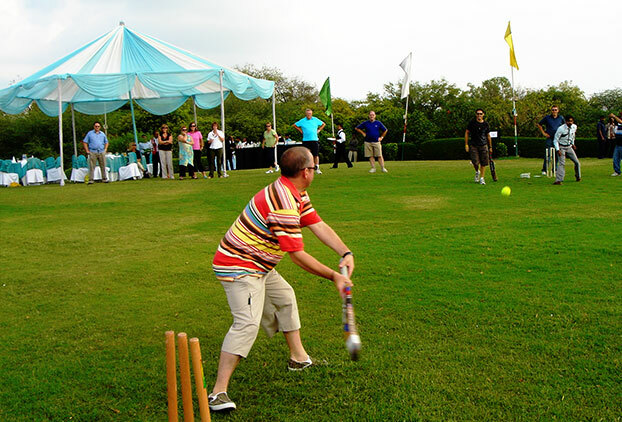 Learn the rules, master a few strokes and bowl a few deliveries...before we place you on the field with a local team for a friendly game. Enjoy once again the banter, the confusion and the sense of boyish excitement of sport that you did back when you were in school. 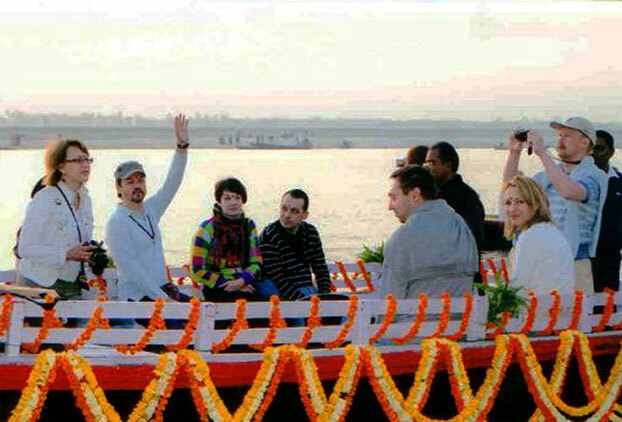 The boat tours are conducted at Varanasi on the revered river - Ganges. One of Varanasi's principle tourist attractions is the series of Ghats that line the western banks of the river Ganges. An early morning boat ride presents an incredible spectacle as a multitude of devotees pay homage to the Sun God. Ensconce yourself in our exclusive decorated boats accompanied by musicians playing the flute and the sitar as you pass the Bathing Ghats where thousands of pilgrims immerse themselves in the holy waters of Ganges and the Burning Ghats where traditional cremations are routinely conducted. 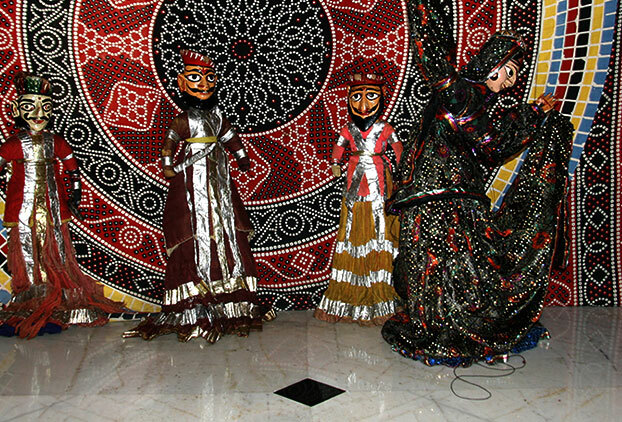 Long before the advent of television and internet, people relied on traditional art of puppetry for their entertainment. Immerse yourself in this spectacular display of deft fingers, cleverly designed puppets and dramatic plot lines that include love, betrayal, deception, tragedy and much more. Storytelling, just as it was 200 years back! Magic has a universal language and a universal appeal. 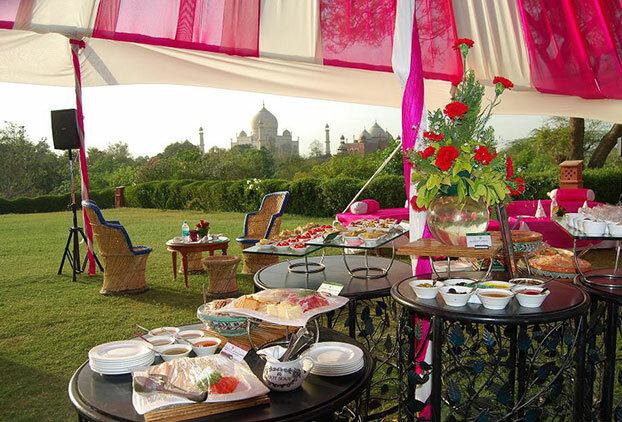 Get ready for Magic with an Indian Twist. Brace yourself, as you will be astounded by the clever and often humorous antics of our local magicians who'll keep you thoroughly entertained and perplexed by the mother of all questions - How did he do that? 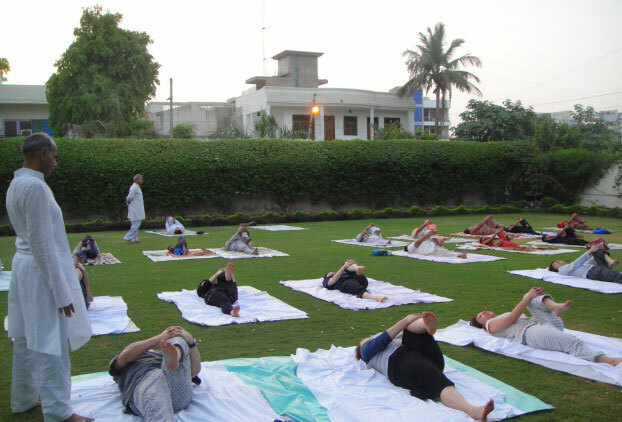 Let ancient Indian wisdom be your guide as we rejuvenate your body & mind. Immerse yourself in our relaxing yoga sessions and feel the stress wash away as we enrich your body chakras with positive energy and leave you with a sense of absolute well being. Prepare yourself for a welcome like none other. 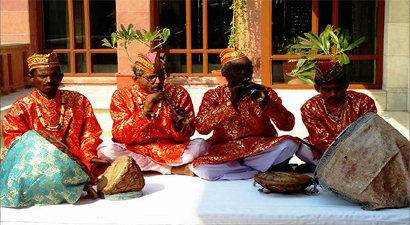 As the raucous beats of the dhol, meet the mellifluous strains of the shehnai and the turhi, give in to a magical world of acoustic pleasure. 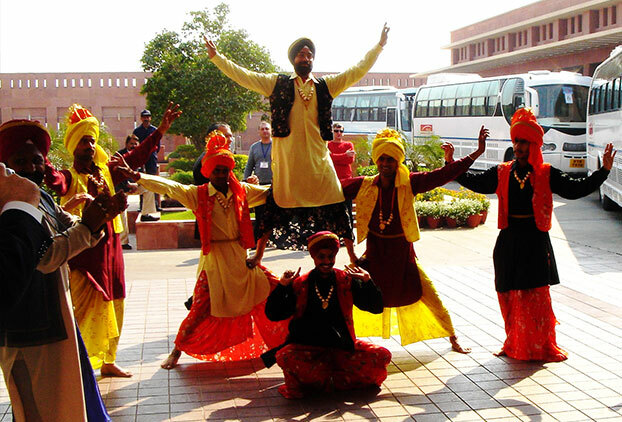 The smiles will get wider as the musical offering ends with a round of lively Bhangra, a popular folk dance from the North of India. 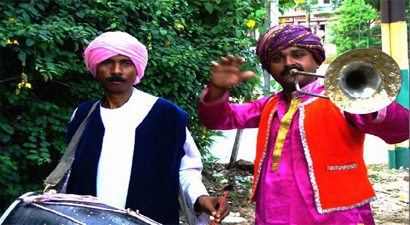 Don't be surprised if you find yourself partaking in the revelry, moving to the addictive Bhangra beat! Our local experts are waiting to regale you with historical facts and mythological tales that will leave you asking for more. From legends of the Mughal era to Agra's current population numbers, they are your 'turn to' men for all information that you need, and some that you didn't even know that you did!